Who were the winners at UFC 205: Alvarez vs McGregor? Click below to get the results for all the fights at Madison Square Garden in New York City on Saturday, November 12, 2016. UFC featherweight champion Conor McGregor defeated Eddie Alvarez by second-round TKO at 3:04 to win the UFC lightweight title, becoming the first-ever UFC two-division simultaneous champion. McGregor dominated the contest, defending three takedowns from Alvarez and landing 32 significant strikes that led to three knockdowns in the fight. McGregor rocked Alvarez early in the first round, dropping the champion and forcing him to reset. When the champ stood back up he let out a deep breath and McGregor went back to work. In the second round it was a counter left that rocked Alvarez and it only took one monster shot on the ground to finish the fight. McGregor becomes just the third fighter in UFC history (Anderson Silva and John Lineker) to score three knockdowns in a single fight. 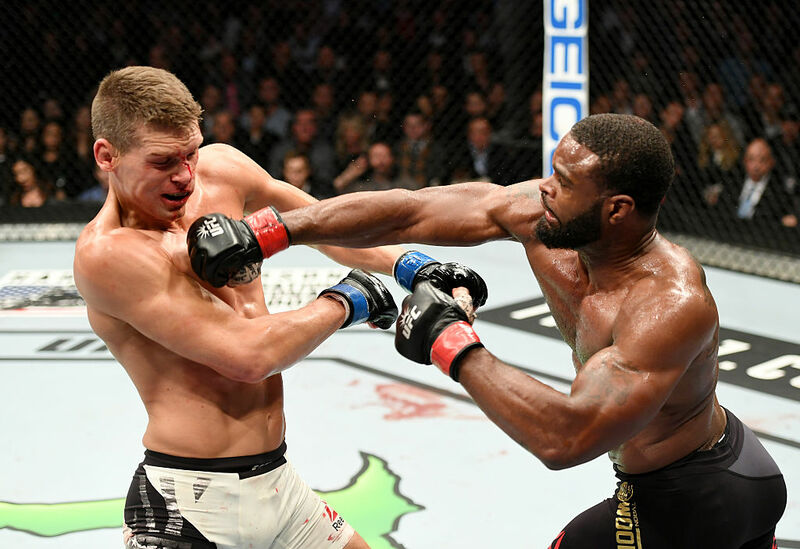 Tyron Woodley retained his UFC welterweight title by majority draw against Stephen Thompson in the co-main event of UFC 205, 47-47, 47-47, 48-47. The difference in the fight was a dominant fourth round for Woodley, who rocked Wonderboy with a solid right hook and then pummeled him on the canvas. But Thompson survived the onslaught as Woodley then dropped for a guillotine choke in another attempt to finish the fight. Thompson made it out of the headlock and wound up on top and finished the round by dropping some big shots. Woodley did enough to retain his title, out-striking Thompson, 113-60. Joanna Jedrzejczyk defended here UFC strawweight title for the fourth consecutive time, a mark that is the second-best active total in the UFC behind flyweight king Demetrious Johnson (8). Jedrzejczyk put on a striking clinic, doubling up Kowalkiewicz in strikes in every round of the fight. The challenger rocked Jedrzejczyk in the fourth round but the champion bounced right back and finished the 25 minutes in dominant fashion. The official scores were 49-46, 49-46, 49-46 for Joanna champion in an unanimous decision. It was a tight contest through two rounds as Yoel and Chris Weidman brought the aggression in the wrestling department. Going into the final round it was likely a round apiece, but then out of nowhere Romero unloaded a flying knee as Weidman was shooting a double leg takedown and the All American had his lights turned out. Romero won by knockout at :24 of the third and final round. Romero is one of only two fighters in UFC history with two flying knee knockouts (Diego Sanchez). Romero has now won eight in a row and is tied for the fifth-longest active streak in the division. Since 2013, Romero’s six KO/TKOs are tied with Conor McGregor and Derrick Lewis for most in the UFC. 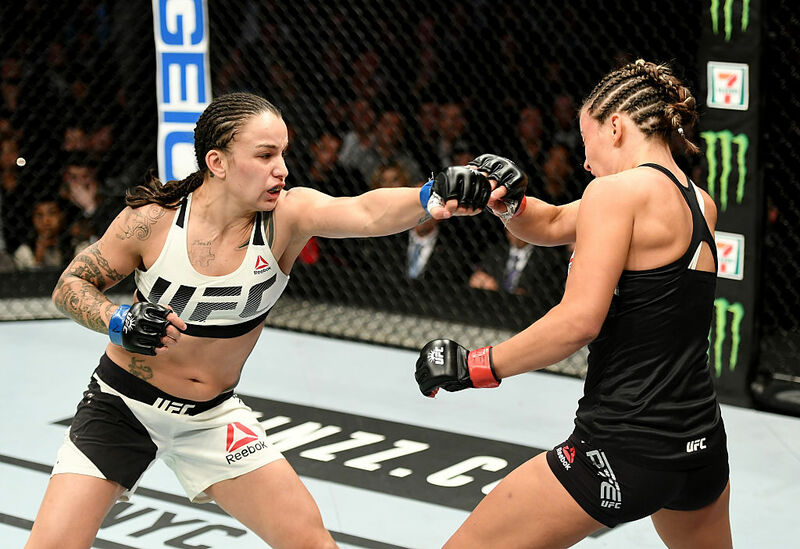 Raquel Pennington put on a Miesha Tate-like performance, shutting down her former coach on The Ultimate Fighter en route to a unanimous decision win over Tate to open the main card of UFC 205, 29-28, 30-27, 30-27. Pennington roughed up Tate on the feet in the first and then threatened with a standing guillotine, but the veteran Tate was able to wall walk and break the hold to hang on. Tate tried to attack from her back with her jiu-jitsu in the third, but she wasn’t able to find a submission. Tate more than doubled up Tate in strikes, 111-48 and 43-21 in significant strikes. Pennington has now won four in a row in the women’s bantamweight division, which is the tied for the longest streak in division. 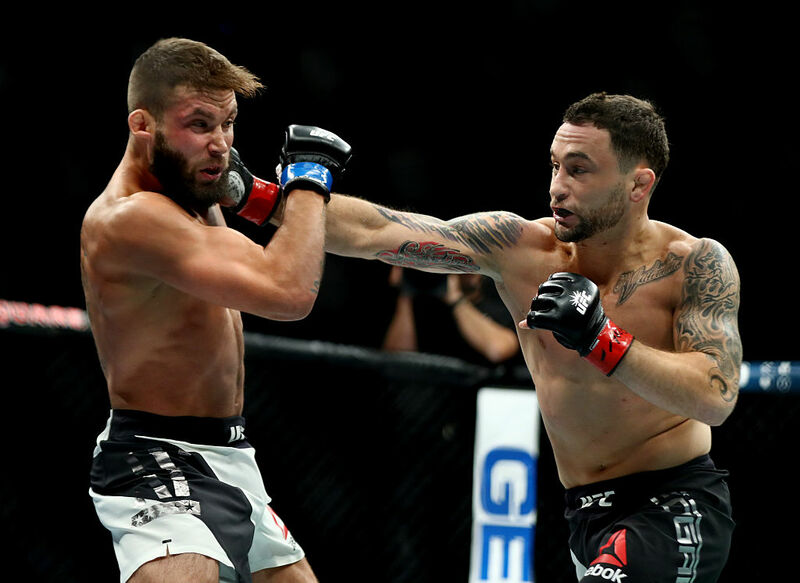 Frankie Edgar did what he always does: win against all odds. Edgar got rocked in the second round with a huge head kick from Jeremy Stephens, but he ate it and survived. Later in the round Edgar slammed Stephens and the rest was a wrestling clinic from the former lightweight champ, who went on to win by unanimous decision, 30-27, 30-27, 29-28. Edgar landed five takedowns in the fight and out-struck Stephens, 45-41 (40-33 significant strikes). 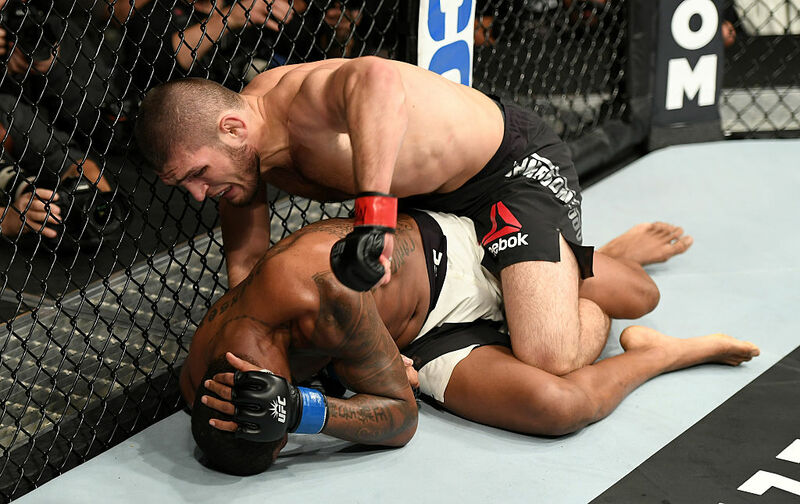 Khabib Nurmagomedov put on a dominant ground clinic against Michael Johnson, submitting the Blackzilian standout by kimura at 3:21 of the third round. Khabib landed 94 significant strikes after landing just two takedowns. When he got Johnson to the mat that’s where the fight stayed. 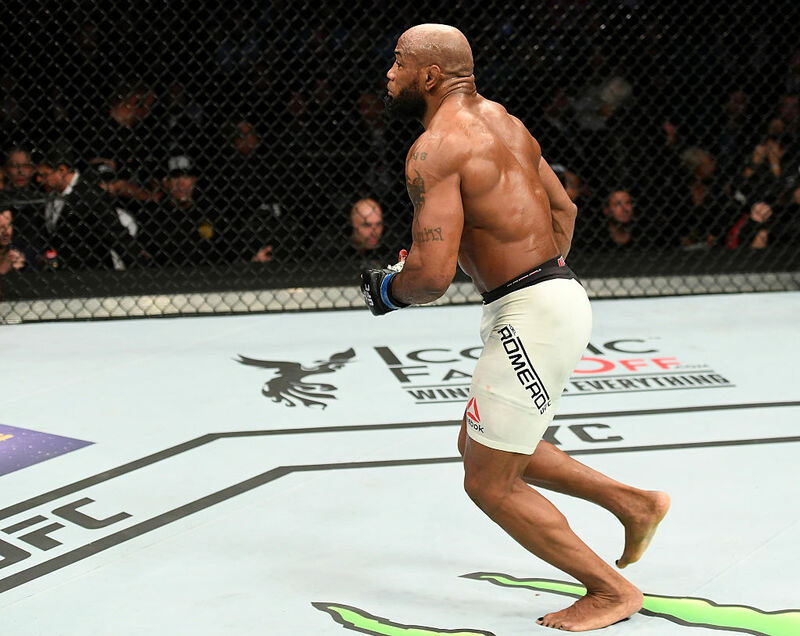 Johnson showed his toughness, taking everything Nurmagomedov had for him, but once the Russian was able to get top position in the third he was able to finish with the submission. Khabib extends win streak to seven in a row, which is good for the second-longest active streak in the lightweight division. After the fight Khabib went on a classic rant about Conor McGregor and how it’s actually Nurmagomedov that deserves a title shot. Joe Rogan agreed that Khabib should be next in line. 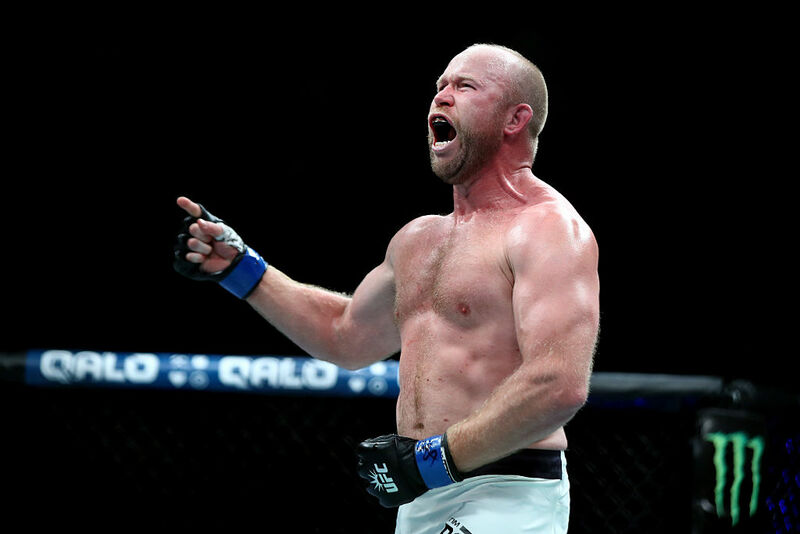 Tim Boetsch landed a solid straight right hand that absolutely rocked Rafael Natal in the first round and the rest was academic, as The Barbarian picked up a TKO win at 3:22 of the first round. Boetsch landed 14 significant strikes in the fight and that was all he needed. Boetsch now has his first win streak since 2012 and said to Joe Rogan that he feels like he’s finally coming into his own. Ultimate Fighter season 21 standout Vicente Luque made history against Belal Muhammad with a first-round KO just over a minute (1:19) into the bout. Luque landed a perfect left hook on the button that sent Muhammad to the canvas. The Blackzilian rising star then leaped onto his opponent and landed a few more finishing bombs to finish the fight. Luque finishes his fourth-straight opponent, which is tied for second-longest active finish streak behind Nikita Krylov. 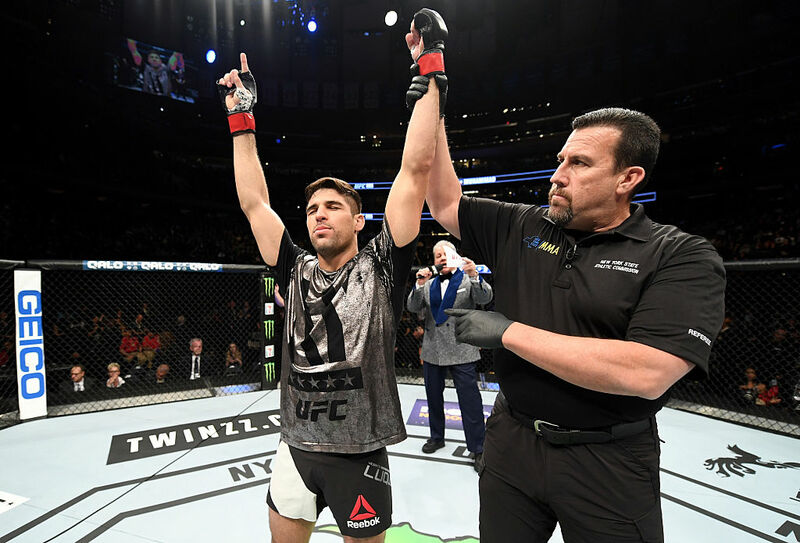 Luque now has the third-longest active win streak in welterweight division (4) and he becomes the fifth UFC welterweight in history to earn four consecutive finishes (Matt Hughes, Thiago Alves, Matt Brown and Marcus Davis). 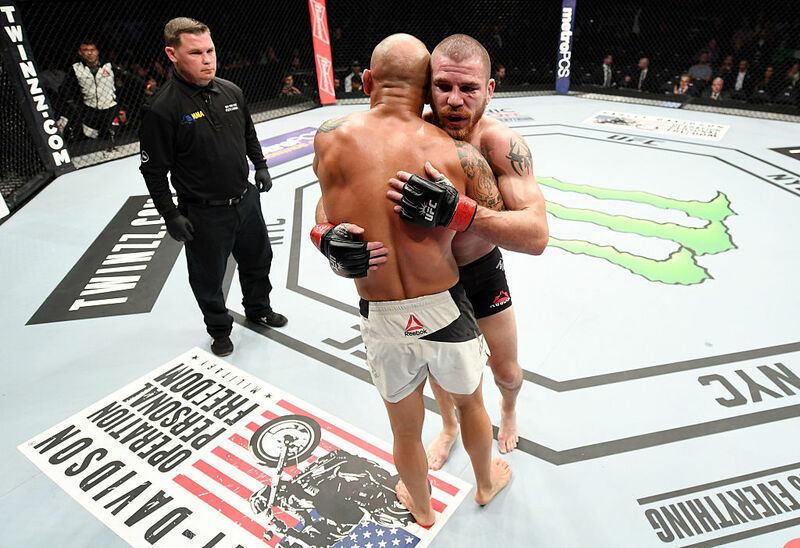 Jim Miller overcame a tough situation when opponent Thiago Alves missed weight Friday. The New Jersey native won anyway by unanimous decision to become the all-time UFC lightweight wins leader. Miller landed four takedown in the fight and threatened with a submission, but was out-struck in the fight 50-45 (36-28 significant strikes. Miller utilized a 6:24-:35 time of control advantage to pick up the 30-27, 29-28, 30-27 unanimous decision win. Liz Carmouche landed four takedowns and bested Katlyn Chookagian in significant strikes, 27-22, to take a split decision win to open UFC 205 in New York City, 28-29, 29-28, 29-28. 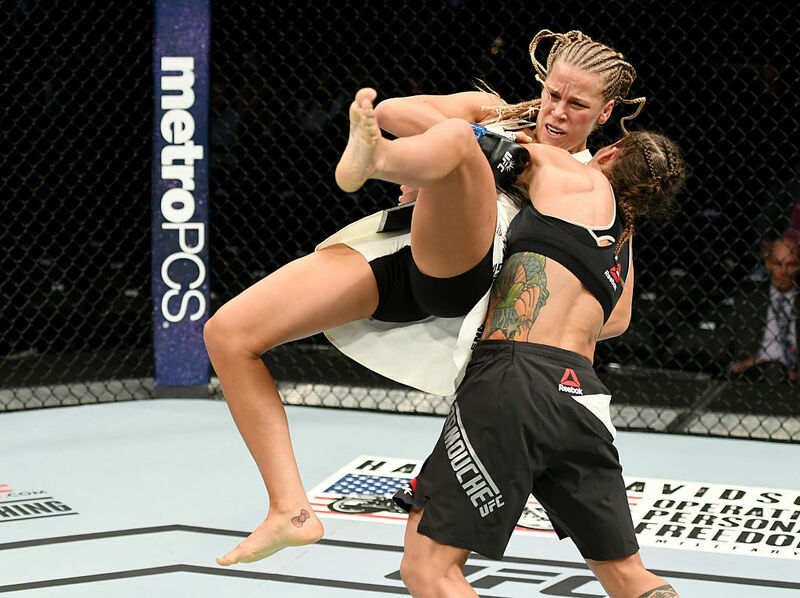 Carmouche was able to slam Chookagian on two separate occasions and did just enough with her striking, on the feet and on the ground, to secure the first win by a UFC fighter in Madison Square Garden.